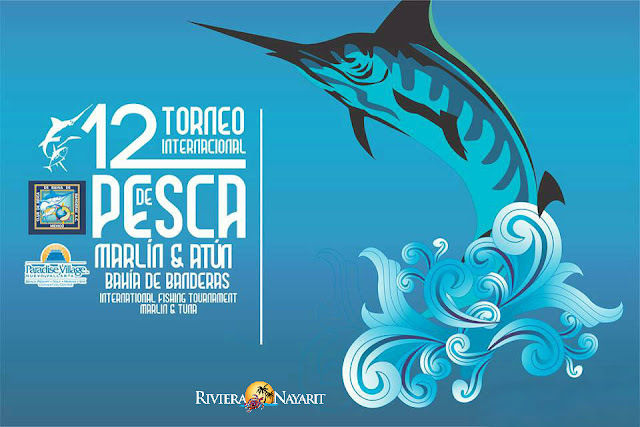 This traditional event, organized by the Bahía de Banderas Fishing Club, returns once again to the Riviera Nayarit, attended by domestic and international participants. 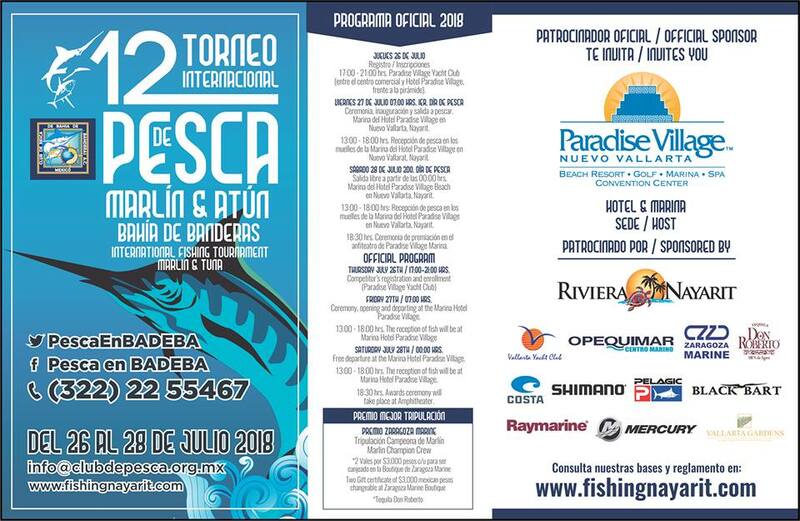 The 12th edition of the Bahía de Banderas Marlin and Tuna Fishing Tournament—organized by the Bahía de Banderas Fishing Club—is taking place July 26-28 in the Riviera Nayarit. This tournament has become a tradition for those who love the Mexican Pacific and is considered a must for sport fishing aficionados in the country. For three days, fishermen seeking the best catch will have a chance to show off their skill; unlike commercial fishing, sport fishing is sustainable, meaning it doesn’t affect the species and employs an important part of the population. The Marina Paradise Village Nuevo Vallarta will host the event and is the main sponsor; the Riviera Nayarit Convention and Visitors Bureau (CVB) and the Bahía de Banderas Hotel and Motel Association (AHMBB) fully support it as well, as sporting events are a key part of their promotional strategy. The twelfth edition of the tournament brings with it grand prizes for the winning boats and sailors, including a purse of approximately 250 thousand pesos divided between different categories, as well as a car and other prizes in kind offered by the sponsors. 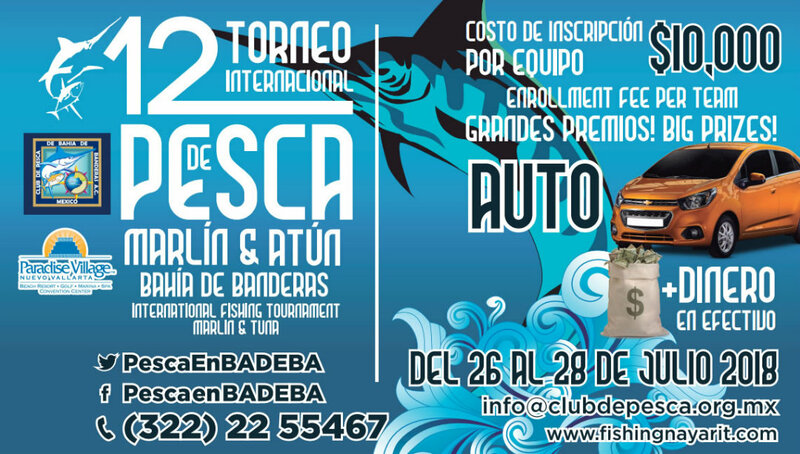 The Bahía de Banderas Sport Fishing Club is expecting about 200 fishermen and between 40 and 50 boats; this estimate is important as the tournament has been establishing itself with the increasing presence of foreign craft. Registration cost is 10 thousand pesos per team of four; they can compete in the Marlin, Tuna, Sailfish, and Mahi-Mahi categories with prizes for first, second, and third places. There is also a prize for Fishing One with 25-thousand-peso purses for the Marlin, Tuna, and Sailfish categories, as well as the Catch and Release prize sponsored by the Riviera Nayarit. Last but not least, the Zaragoza Marine Prize will be awarded to the winning crew in the Marlin category; it consists of two three-thousand-peso vouchers, each of which can be exchanged at the Zaragoza Marine boutique. With events such as the Bahía de Banderas Marlin and Tuna Fishing Tournament the Riviera Nayarit is established as one of the favorite destinations for sport fishing lovers in Mexico. Its success is due to the climate and maritime conditions, which are always favorable, as well as the abundant diversity of species that live off its more than 300 kilometers (186 miles) of coastline. For more information visit www.fishingnayarit.com or write to info@clubdepesca.org.mx. Riviera Nayarit reaffirms its status as an ideal destination for sports tourism thanks to the many quality events that take place with the support of the Government of the State of Nayarit via the Tourism Promotion Trust (Fiprotur).